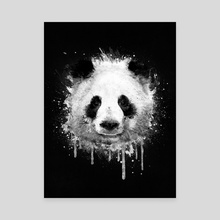 Cool and artistic watercolor graffiti spray paint style Portrait of a panda bear. A great abstract wildlife animal watercolor drawing. 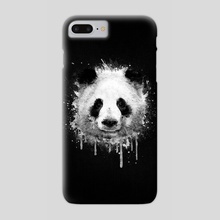 A must have for all animal and panda lovers. 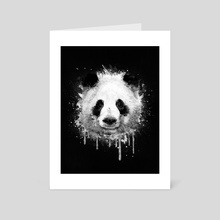 Awesome black and white art Print and clothing ,perfect as gift or for Home decoration and accessories. Epic hipster splatter ink illustration Artwork!